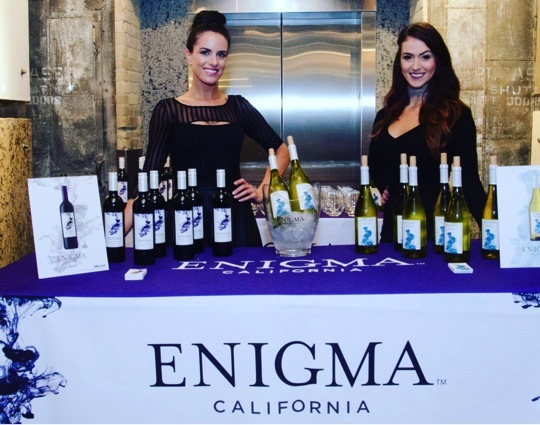 ENIGMA WINE | MOUSE MARKETING INC.
Enigma, how intriguing… Award-winning wine created by Canadian’s. 56 carefully chosen tasting events across Canada. We provided a modern approach and appeal to varietals which are typically very traditional; Chardonnay & Cabernet Sauvignon. Photos, samples, upgrades to glass and bottle sales, etc. Created a brand for Canadians based on research and feedback from Canadians. Provide a modern approach and appeal to varietals which are typically very traditional; Chardonnay & Cabernet Sauvignon. We believe a second glance can sometimes reveal deeper treasures. Our passion is crafting bold wines that deliver the unexpected. We marshal the best agricultural and winemaking practices from around the world to guarantee the highest quality. Our Winemaker, Beth Liston, believes winemaking is a treasure hunt. She is constantly experimenting with different grape varietals and new winemaking techniques. From the bold Cabernet Sauvignon to smooth Chardonnay, her passion for creating exceptional wines that outperform their price is unsurpassed. Enigma Wines are a result of a Canadian research study where fellow Canadians told us what they were looking for in a wine brand. The result: Enigma Wines.